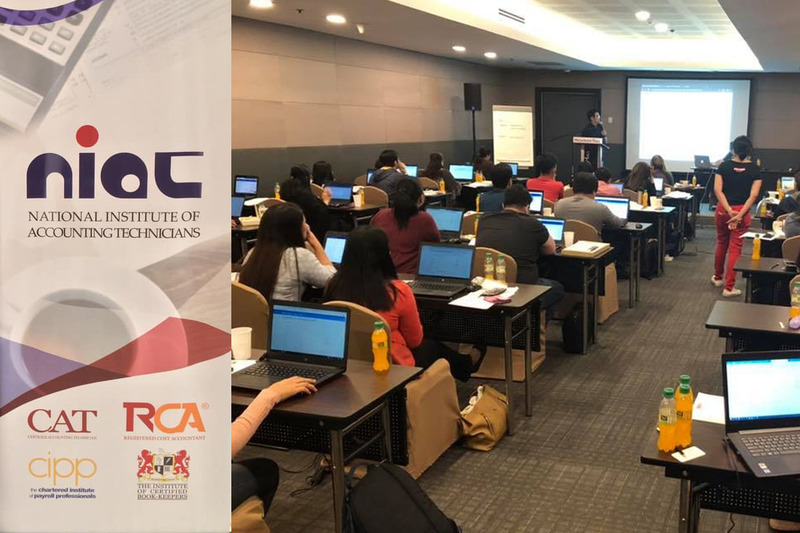 JuanTax founder and previous head advisor of Xero for the Philippine Market, Marvin Galang, gave a hands-on training for the National Institute of Accounting Technicians (NIAT). This was a whole day presentation to more than 35 attendees which comprised LGUs, corporate professionals, attorneys and bookkeepers. NIAT prioritizes updates on technology which is the reason why JuanTax was invited to give the training. The focus of the training was how to set up and use the Xero, the online accounting software. Xero is currently the only accounting software that is integrated seamlessly with JuanTax. The training also presented how to enter transactions in Xero, then tax returns can be populated in JuanTax. There is no need to re-enter data in the eBIR, RELIEF, Alphalist software. The attendees will get follow up hands on training with JuanTax, which is available every Friday. The training is very timely especially with the new BIR memo on over-the-counter acceptance on certain tax returns and payments of internal revenue taxes. This is due to the unavailability of the eFPS. With the intermittent problem of the Bureau’s electronic Filling and Payment System (eFPS) because of specific technical issues, all eFPS taxpayers can file their tax returns using the eBIRForms facility. An alternative is to file and pay their taxes with their respective Authorized Agent Banks (AABs). It is important to note that AABs will only accept eFPS over-the-counter payments with tax return deadlines starting March 11, 2019 onwards. With less than one month left before the April 15th tax deadline, the BIR opted to give other actionable steps for its eFPS filers. JuanTax has made things easier though since it can automatically compute and seamlessly file taxpayers’ payments using eBIR forms, Alphalist and RELIEF. Taxpayers have the option to use JuanTax’ software for free until April 15, 2019. With the success of the March 16, 2019 Xero and JuanTax training at the SMX Mega Trade Hall of SM Megamall, expect more hands on trainings to happen. You don’t have to be an accountant to join the events presented by JuanTax. As a taxpayer, you will learn how to effortlessly pay your taxes with the automated system of JuanTax. If your company is an eFPS filer, you can use JuanTax to calculate and file your taxes online. Paying taxes need not be a chore. With the guidelines of BIR, innovations from JuanTax, and compliance from taxpayers, tax collection will surely be more effective.